for $340,000 with 1 bedroom and 1 full bath. This 821 square foot condo was built in 2008. Fabulous condo unit in the desirable Opera Towers. Stunning High Floor Beautiful Unit offers Breathtaking Ocean, Intracoastal and City Views. Enjoy open layout, spacious walk in closet, gorgeous expansive balcony and modern kitchen. Opera Tower has a unique prime location. 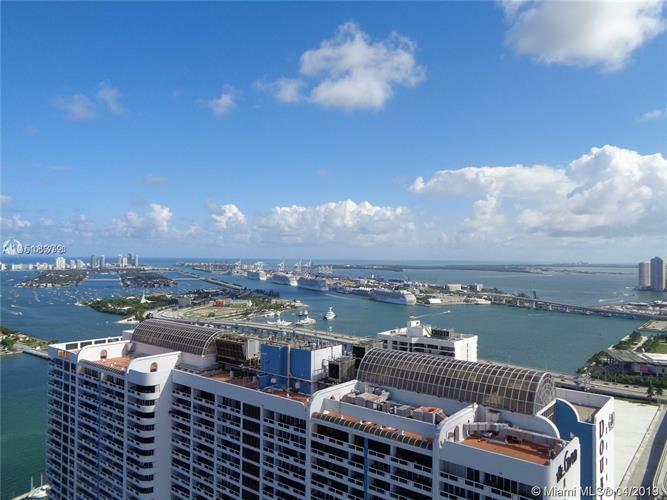 You are right across the famous Biscayne Park, 10 min away from the beach, in a walking distance to Adrienne Arsht Center, American Airline arenas and shopping centers. Priced to Sell! Rent it easily up to 12 times a Year. unit is rented until January, 2020, for $1, 780.00 . show by appointment only.